I love this scent. You only need a small amount. It's very easy on the sinuses and is probably best used just around your spouse...it's pretty intoxicating! 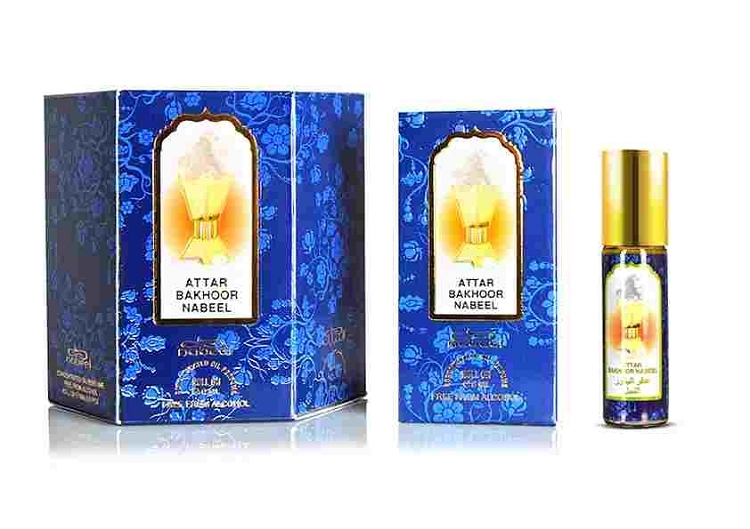 'Attar Bakhour' by Nabeel, to my nose, smells nearly identical to 'Badar' by Al Haramain, which is one of my favorite fragrances (perhaps because I have such fond memories attached to it); as well, 'Bakhour' by Al Rehab comes to mind. It is quite complex and unusual: clean with a smooth "soapiness', with notes of honey'd florals and tobacco, over a base dominated by a sweet, clean white musk with hints of serene woods. Other notes I find difficult to pinpoint as it is so well-blended, so you really must try it for yourself. Very versatile, for day or night, and any season; easily unisex. Really enjoy this scent. It is long lasting, not over powering, and only a hint of rose comes through. Would recommend. 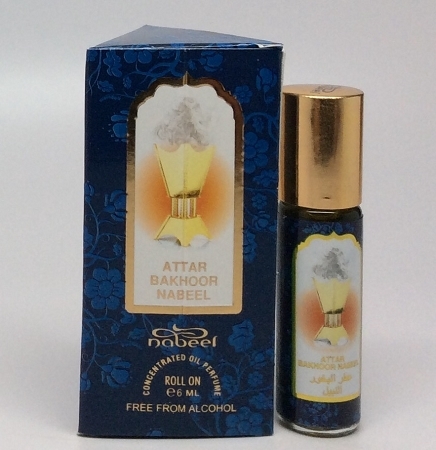 A nice clean and mellow mix of oud, sweet, but not overly,florals. Like most of these oils, a small dab will be all you need.